A few weeks ago our family became a part of something special that has changed our life. That something special was Sparkle Stories. We are often looking for calm and gentle ways teach our children, and we are often looking for ways to teach or children to be calm and gentle – Sparkle Stories does just this. All round Sparkle Stories is a positive addition to our lives, it entertains, it inspires, it educates and the Children love it. I love it too, Sparkle Stories has become my Friday afternoon shinning light, as I know that just when I need it most the Sparkle magic will cast a spell over my children. The enchanting story lulls them into an enthralled still and quiet, which is oh so valuable for energetic little ones…and oh so valuable for this stay at home Mama. Since joining Sparkle Stories I have been meaning to spread the word, then today I received an email with a special Sparkle Stories offer to share with you, so that you too can have the gift of Sparkle Stories in your life. 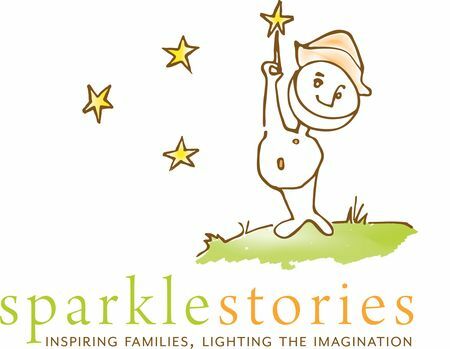 For the coast of $1 you can join Sparkle stories for one month (four weeks). This will be 12 stories that equals 3.5 hours of delightful audio for Children. If you do not want to continue ( which I know you will want to…) you can cancel at any time and you still get to enjoy the month’s worth of original, delightful and relevant stories for only $1. We enjoyed all of the free Sparkle Stories samples, listening to each of them many times first before deciding which story we were going to subscribe too. Maya then chose At Home with Martin and Sylvia. We look forward to each installment with anticipation. Friday now has an added pleasure for us as we get a new Sparkle Story segment – following the two delightful characters Martin and Sylvia who have become a positive influence in our daily life, in so many subtle ways. So my friends, follow the link below and enjoy this Sparkle Stories bonus! I hope you too all subscribe. I look forward to hearing which story, or stories you choose. A big thank you to the generous, creative folks at Sparkly Stories, you are the best! This entry was posted in P L A Y and tagged children, waldorf.